Memorial services are scheduled for 2 p.m. Saturday, Jan. 7, at West Main Baptist Church for Bud Cameron Littleton of Roswell. 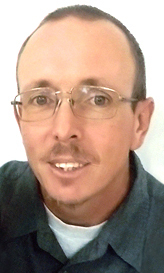 Littleton, 39, passed away Sunday, Jan. 1, 2017, in Roswell. Jason Kraft will officiate at the services. Honorary pallbearers are Chad Jones, Joe Rolan, Mark Shepherd and Sonny Littleton. Visitation will begin at 10 a.m. Friday at Terpening & Son Mortuary. Bud was born Sept. 22, 1977, in Deming to Gerald W. Littleton and Warnet June (Cables) Adams. He was a driller and worked for several years in the oilfields. He was an attendee of the Church on the Move in Roswell and had many hobbies, including caring for his dogs, riding dirt bikes, and fixing and working on anything with a motor that needed fixing. Bud was an artist and enjoyed drawing and designing tattoos on people. His love was to roughhouse and spend time with his children and family. Survivors include his fiancée, Susan Smith, of the family home; mother Warnet June Adams of Artesia; father Gerald W. Littleton of Deming; daughters Kaity Devine of Artesia, and Dazia Smith and Febe Murrillo, both of Roswell; son Isaiah Littleton of Roswell; sisters Robin Wilson of Alamogordo, Julie Croci of Hope, and Jennifer Moritz of Ruidoso; and brothers Sonny Littleton of Andrews, Texas, Jackie Littleton of Deming, and John Littleton of Artesia. He was preceded in death by his brother, Skip Mann.